If you have a dog with joint problems such as arthritis you’re probably already aware of the benefits swimming can provide to your dog. New research has found that swimming not only improves mobility in dogs with joint issues, but that it improves the mobility of all dogs. 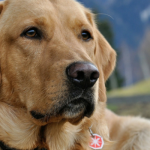 The study was conducted at the Hatpury University Centre in the United Kingdom on Labrador Retrievers. The researchers attached reflective markers to the dogs legs so they could evaluate their walk before & after swimming. After the swimming sessions the researchers analyzed the dogs movements. They found that dogs with elbow dysplasia showed an increase in range of motion, stride frequency & stride length after hydrotherapy. They also found that dogs in the healthy control group showed the same significant improvements in mobility after swimming. This study suggests that swimming may provide mobility benefits to all dogs, but it only included a small sample of dogs. 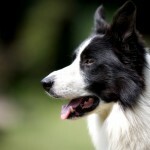 In the future the researchers are hoping to expand their study to include other breeds. 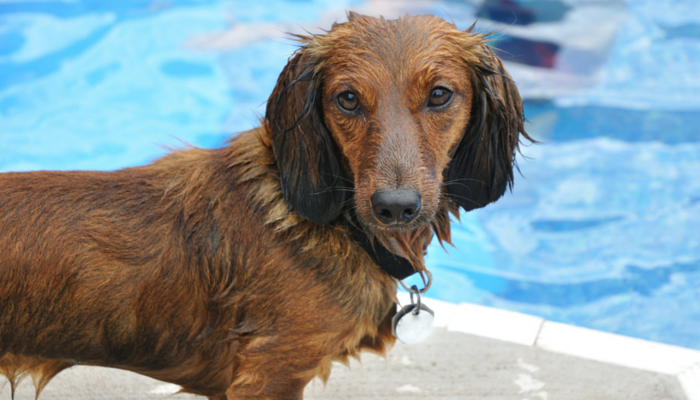 In 2004 researchers conducted a swimming study on dogs with osteoarthritis. The dogs swam for three 20 minute sessions each day followed by a 5 minute rest period. 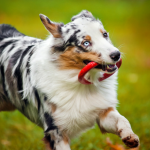 The study found significant improvements in the dogs’ lameness, mobility, and weight bearing after 8 weeks. 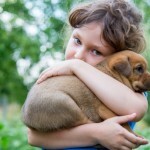 They also found that the dogs showed significant reductions in joint pain after 6 weeks. Swimming is a fun exercise for many dogs, and it’s been shown to provide multiple health benefits. Not all dogs are natural swimmers, and some take to the water much better than others. Breeds such as the Basset Hound might find swimming more challenging due to their short legs, and dogs with docked tails might have a hard time balancing in the water. If your dog is new to swimming introduce them to the water slowly. If you’re going to let them swim in your pool make sure they know how to exit properly. Swimming is a great exercise for dogs, but remember to play it safe. 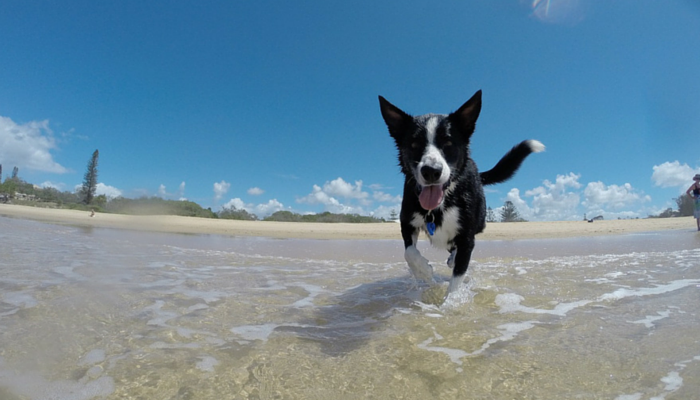 Always keep an eye on your dog when they’re near water – whether it’s your backyard pool or the local beach. Do Your Dogs Love Swimming? Does your dog love to swim? Were they a natural? Do you have any favorite swim spots? Interesting. I wish we had a pool or place for swimming, but truthfully, Sampson doesn’t care much for it. He will go in to cool off, take a lap around and he’s done. He’d much rather wade, or lie down in the shallow parts. Delilah LOVES to swim and I really do wish there was a dog pool where I could take her. I worry too much about the natural bodies of water around here, mostly because of all the fishing. Ash loves to swim! She will get in our pool by herself, swim some laps, and then get out. I keep thinking it will help her loose some pounds, but no such luck! Thanks for this article. Please can you provide references for the studies as I would be interested to read them. Thanks in advance. Apologies, I see you did reference one study. Please feel free to delete my comment above.